FREE shipping on most qualified orders (continental US lower 48 states) Items eligible for FREE shipping will be identified on your shopping cart. Not available on International, Puerto Rico, Alaska, Hawaii, US Virgin Islands or APO/FPO orders. FREE shipping method and carrier will be selected by Romik.com. FREE shipping will be delivered via ground service. In some cases over size items require additional shipping and handling, these items exceed the size limit for standard ground shipping and will be sent by truck or LTL freight delivery. These products will be labeled as oversize and will not qualify for FREE shipping. The price will appear on the shopping cart before finalizing your purchase. Exact shipping cost varies depending on size, delivery method and or your location, Please pay attention to these factors. Romik.com reserves the right to end FREE shipping promotions and any time. 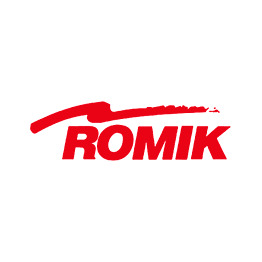 Shipping times are estimated from the time the order leaves the Romik warehouse. Estimated shipping times appear on the order status. Delivery Times, Once the order is processed and inventory has been confirmed the delivery times will vary depending on your location and the location of the shipping warehouse. Please allow 1 to 5 days for deliveries. International Shipping, Please call Romik.com for a shipping quote. Please inspect products as soon as you sign or receive them, if the product is damaged once you open the box PLEASE DO NOT INSTALL and contact our customer service hotline at 1-866-71-ROMIK and speak with one of our specialist so we can contact the carrier and process a claim. It is extremely important that this take place no later than 48 hrs after receipt of products. You will need to keep all of the original packaging materials for proper documentation; at the same time please send detail images of the damages to customerservice@Romik.com or call our customer service hotline at 1-866-71-ROMIK and speak with one of our specialist so we can process the claim and get you a replacement order as soon as possible. Returned items must be new in salable condition without any markings or cosmetic damage. All factory packaging, install materials including hardware kits must be new as well. To initiate a return RMA (return merchandise authorization) you will need to sign on to your Romik.com account and fill out the request. Once received one of our specialist will send you an RMA. Once the RMA has been assigned you have 15 days to return the products to the assigned vendor. You are responsible for all shipping, packaging and handling cost incurred to ship the product back to Romik. You must insure package for the correct value in case if damages occur during transport. Returns without an RMA number will result in the refusal of the package, the products will be returned to you at your expense. Returns on International orders cannot be accepted. Once products are received and inspected you will be notified via email. A refund will be issued no later than 7 days after inspection is completed; a 20% restocking fee will be deducted from the original invoice price and refunded to the original credit card on file. Defective return, if you happen to receive an item that is defective; please to sign on to your Romik.com account and fill out the request. Once received one of our specialist will send you an RMA, shipping label and instructions on how to return to vendor. Non-Returnable items, we do not accept returns on Special Orders or Custom products. You will be notified during check out. Refunds are typically processed on eligible returns with 1 to 2 business days after the vendor has received, inspected and approved the return. Refunds are issued back to the same account used to make the purchase. Your bank or card issuer typically takes between 2 to 7 days to post it on your account. Customers are responsible for all actual shipping, packaging and handling charges and are non-refundable unless stated otherwise in our return/refund policy. This includes undeliverable items returned to us by the shipping carrier because the address provided isn't a address that the product can be delivered to by them. Special orders or Custom products that are non-returnable or that do not comply with our return/refund policy will not be issued a refund. International customers are responsible for any applicable taxes, duties or any other fees charged by the their Government, United States Government, Fed-Ex, UPS or any other shipping carrier and are non-refundable. All returned, refused, not accepted items will be deducted a 20% restocking fee from the product refund.